Southbank high rises and parking lots now occupy the area where the Coney Island of the South once entertained Jacksonville residents and visitors. 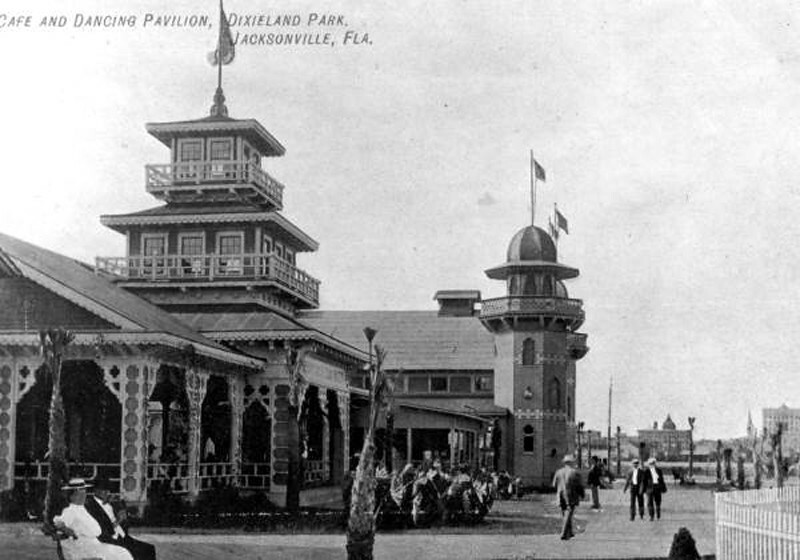 Dixieland Park had a 160-foot bamboo slide called the “Dixie Dewdrop.” It had gardens, a theatre, a dance pavilion, a silent movie studio where legendary western star Tom Mix made films and “polite Vaudeville” which charged 25 cents and 50 cents for matinees and 25 cents, 50 cents and 75 cents for evening performances. 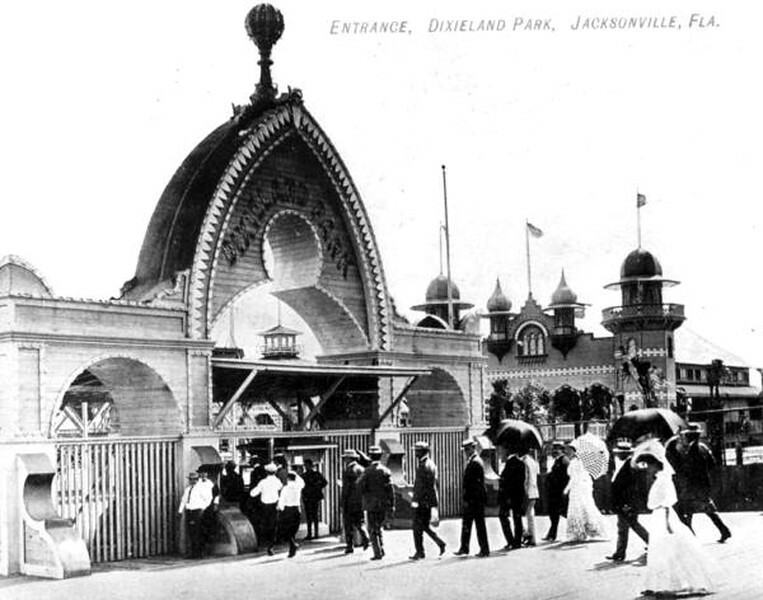 The park had animal shows, daredevil attractions and exhibitions with motor-propelled balloons and aerial rides. It even had baby incubators, the first ever in Florida. Premature infants from surrounding areas were brought to the park for public viewing and care by trained medical personnel. The park charged a 10 cent admission fee. The park was on 21 acres with 1,100 feet of riverfront. It was bounded on the east by Flagler Avenue and extended to what now is Prudential Drive. Immediately adjacent to the park were related attractions such as a baseball field and exposition center. 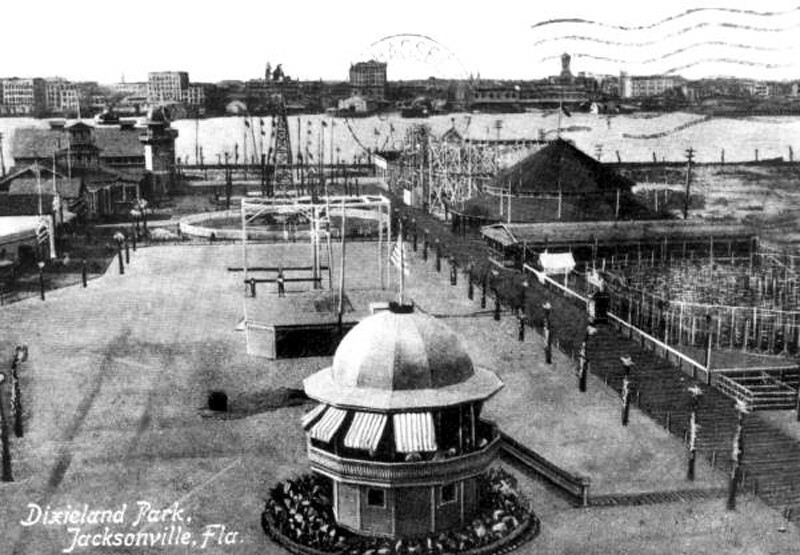 The park was developed following the May 3, 1901 fire. The fire swept over 466 acres burning 146 city blocks, destroying 2,368 buildings and leaving about 10,000 citizens homeless. The fire occurred across the river from the area which became Dixieland Park.